Rush are the featured guests on the premiere of the new online video series "On Air With..." host Eddie Trunk. 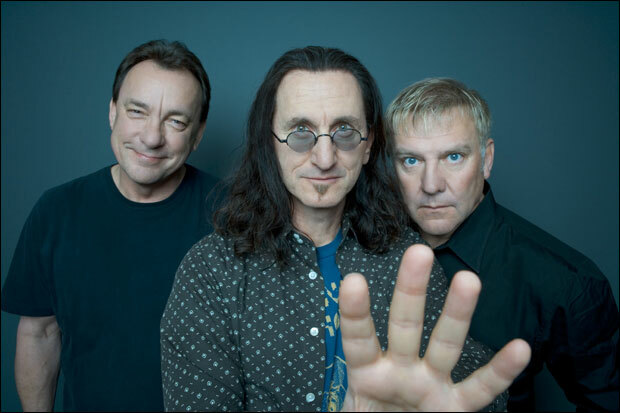 Geddy Lee and Alex Lifeson join Trunk to discuss their new album, “Clockwork Angels,” their upcoming tour, the re-issue of "2112", the Rock and Roll Hall of Fame...and much more. Trunk is the co-host of the VH1 Classic television program "That Metal Show", and he also has a long-running radio show, "Friday Night Rocks", on New York's Q104.3 FM. The new “On Air With…” series will be featured on eddietrunk.com for a limited time, then will be archived for All Access Members only. Rush will be inducted into the Rock And Roll Hall Of Fame on April 18 at the Nokia Theater L.A. Live.